In their Tech Specs Core77 interviewed ten designers, discovering what software they used daily. Other questions covered their computer setups, most-used software, favorite apps, and biggest tech gripes. 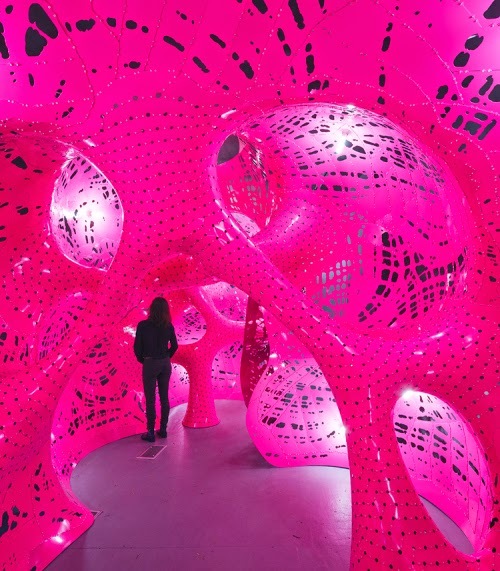 The final interview was with Marc Fornes, founder of the design studio THEVERYMANY. Marc specializes in structures generated through computational design and fabrication. Trained as an architect, he is now interested in computation and code development as a way to generate form, shape, and installation in architecture. Marc's favorite app? "With Rhino 3D, there is an app that we use a lot call iRhino. It allows us to send a model to someone with no clue how to use 3D software. We use that one quite a bit." Marc's most used software? "Rhino 3D is the main software that we use. Inside Rhino, we have code editor in which we write our code -- we use the Python language. The application is just a way to visualize what we do." Core77 publishes articles, discussion forums, event calendars, job listings, and various other services for industrial designers.